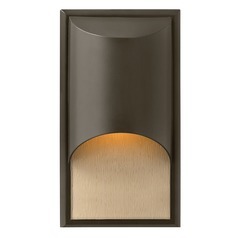 The following are detailed specifications about the Modern LED Outdoor Wall Light with Etched in Bronze Finish. Contemporary / modern bronze 1-light outdoor wall light. 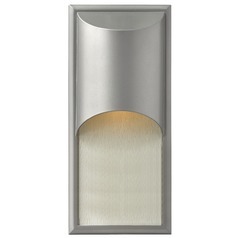 These LED fixtures have a shipping lead time of two weeks, typically delivering within three weeks. 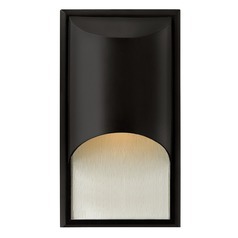 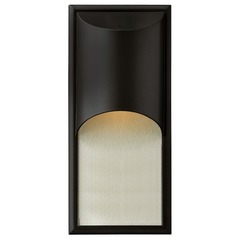 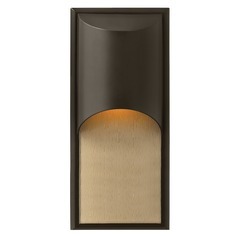 This Modern LED Outdoor Wall Light with Etched in Bronze Finish is part of the CASCADE Collection from Hinkley Lighting. 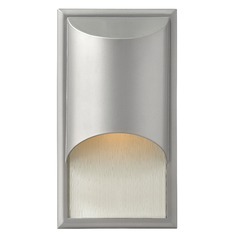 The following items are also part of the CASCADE Collection.